Oceanside CA— Members of the North County Model Railroad Society have been busy converting the old maintenance shed at Heritage Park into an attractive site featuring an operating model train for kids, museum room with a collection of historical railroad photographs and artifacts pertinent to San Diego County, and a large operating model railroad depicting activity in North San Diego County communities during the 1950s. 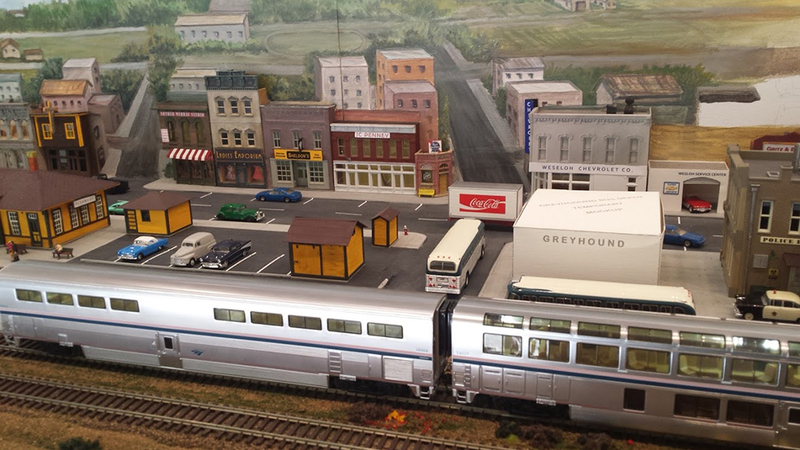 On Saturday a new ‘Train Depot’ sign was unveiled that, once installed, will properly identify the revitalized building. Mayor Jim Wood with City Council-members Jack Feller and Chuck Lowery joined a large contingent of the society members for the unveiling as work continues, on the project, inside the building. 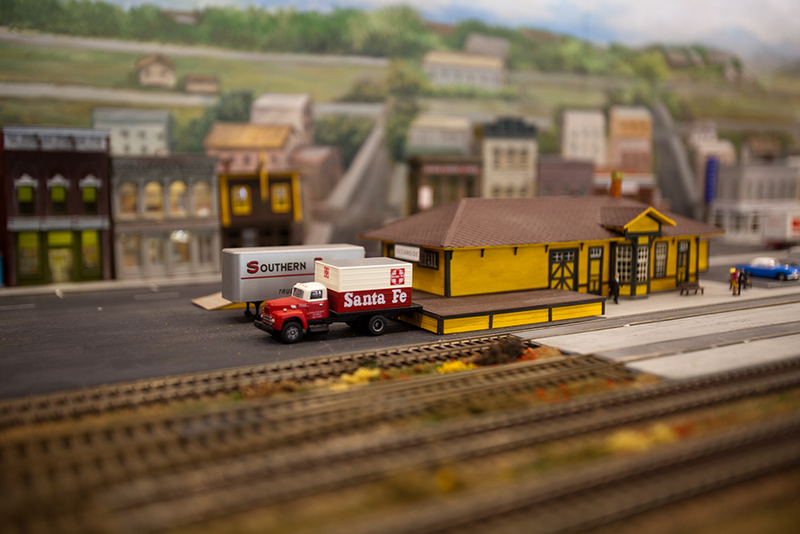 The North County Model Railroad Society(NCMRS) moved into the building in Spring of 2014 and have been working on a three tiered design, to take full advantage of the 1,000 square feet of space available, of what the railroad system looked like in San Diego County during the 1950’s. John Castaneda with the youngest member of NCMRS, Cheyne Garrison, 8. 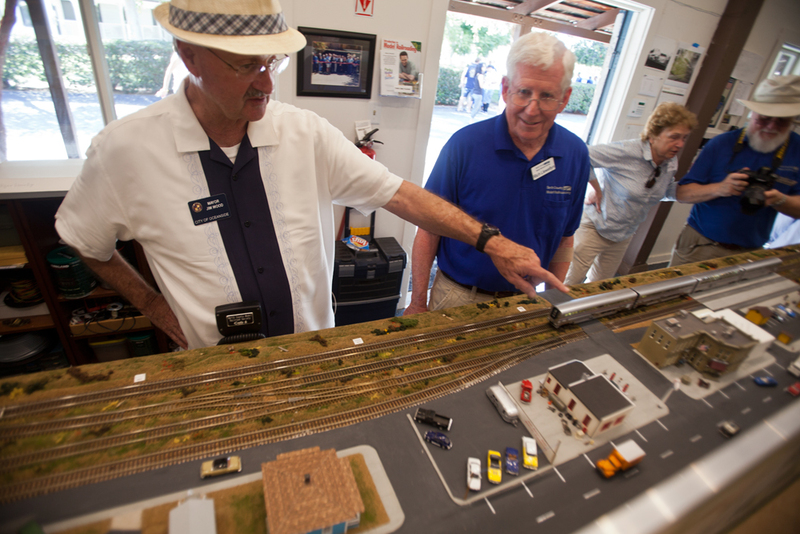 The NCMRS is modeling what the rail line looked like prior to the Surfline. “What we are modeling here is though the canyon never did get washed out and what it would have looked like in the 1950’s because everyone loves the ’50s” said Richard. There are approximately 43 members of the NCMRS “Our average age is about 100” joked Richard. The youngest member is 8 years-old. Heritage Park is located 220 Peyri Road. 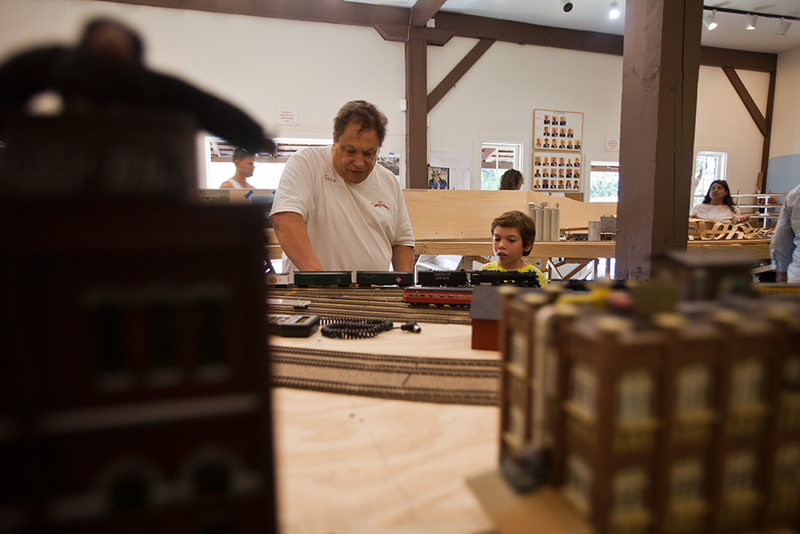 A “Trains for Kids” model set-up allows children to view and operate the trains. The exhibit is open to the public on Saturdays from 10:00 a.m. – 3:00 p.m.
For more information on NCMRS, please visit their website [Link] or email them at infor@ncmrs.org.